Please join and share it with your friends - thanks! We are writing to inform you about a development that threatens the character of Titirangi Village and which has been approved by Waitakere City Council. This development, proposed by the Rotondo family, is to be built on public land on the corner of Titirangi and South Titirangi Roads, opposite Lopdell House. It will replace the current carpark and public toilets. The development is extremely large and will form a solid wall from the end of the existing shops, along to the corner and down South Titirangi Rd to the current carpark entrance. It will be 3 storeys high, 11m from the Titirangi Rd frontage, rising to 15m high on South Titirangi Rd. It will comprise retail on the ground floor, offices on the 2nd floor and apartments on the 3rd floor. It will be covered with horizontal brown corrugated metal cladding. The Titirangi Ratepayers and Residents Association has appealed the decision of the Council to grant consent for this development to the Environment Court. We feel that it is too large and urban in its nature for the Village, that it will dominate the landscape, compete with Lopdell House and set a precedent for future buildings of this scale to be permitted. We seek that the scale and size of the building is reduced, not that it is removed altogether. We accept that some development will occur on this site. However, we need your help if we are to succeed. We urgently need financial donations to fight this case. If you are able to help us by making a donation, or by assisting with fundraising for this appeal then please contact us or send a cheque made out to “Titirangi Ratepayers and Residents Association” to PO Box 60-203, Titirangi. Please mark that the cheque is towards the “Rotondo Appeal”. You can see photo mockups of the development below. Waitakere City Council is currently receiving submissions on proposed District Plan changes for the Waitakere Ranges Heritage area, including Titirangi. It is important to have as much local feedback as possible. The reforms are potentially far reaching. The area where commercial activity can occur is being increased. More details are below. · Come to the Presbyterian Hall 242 Atkinson Road on Friday March 5, 2010 at 7 pm where members of the TRRA will discuss with you the proposed changes and how to make a submission. · Come to the Titirangi Community House on South Titirangi Rd on Sunday March 7 from 10.30am to 12.30pm where members of the TRRA will assist you with your submission and answer questions. · Visit the Waitakere City Council website at http://www.waitakere.govt.nz/abtcnl/pp/districtplan/districtplanchanges.asp#planchange37 where there is further information. · Contact Greg Presland (walaw@paradise.net.nz) or Mels Barton (mels@wombatsenvironmental.co.nz or 021 213 7779) of the Association who are happy to assist. The submissions are due in no later than 5pm March 12, 2010. This document is prepared by the Titirangi Ratepayers and Residents Association Incorporated. · Enable retail activity across the Heritage Area on any residential sites. · Enable home occupations across the Heritage Area on residential sites. · Commercial activities can include intensive farming (ie battery chickens, pigs, cows), tourism, food & beverage, arts & crafts, industry related to agriculture, greenhouses & nurseries, retail related to all of these. · Enabling local convenience, retail stores & services (eg dairies). · Mitigation of any of the effects of the above can be achieved by paying a fee to Council. · Enabling 2 storey (8m) buildings as a Permitted Activity. · Enabling 3 storey (11m) buildings as a Discretionary Activity. · Deleting the requirement for buildings to be of weather boards, rusticated stonework or smooth plastered finish, to connect with the bush setting or Lopdell House. · Deleting the requirement for buildings to retain the low rise character of the area. 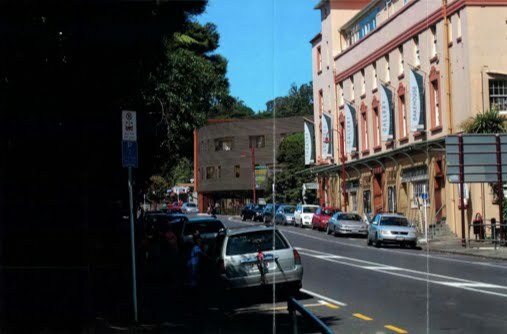 · Extending the commercial zone of the Village (Titirangi Non-Residential Activity Overlay) to include South Titirangi Rd as far as the new commercial offices below Toby’s. · Establishing Oratia Rural Village as a new zone with more intense subdivision, development & commercial activity. · Enabling reticulated wastewater within the Oratia Rural Village. · Enabling subdivision within the triangle bounded by Holdens Rd, Pine Ave & Forest Hill Rd. Please think of what this might mean in practice for your neighbourhood and give examples that explain why you oppose it. · Setting long term “character and amenity” statements for specific communities within the Heritage Area that planning decisions can be measured against in future. · Defining a clear edge to the urban/rural boundary and reinforcing the Metropolitan Urban Limit (limit of urban development). 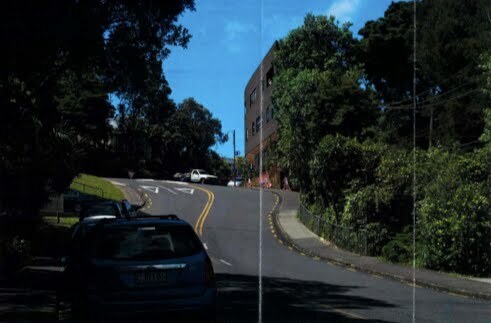 The Titirangi Ratepayers and Residents Association has unanimously decided to appeal the Commissioner’s decision to grant consent to the development proposal by ROT-COL Enterprises Ltd for the corner of Titirangi and South Titirangi Roads. The appeal has been filed with the Environment Court. The 3 story urban style development, incorporating shops, offices and apartments exceeds the height limits for the site in the District Plan, is adjacent to iconic Lopdell House and is on a critical location in the heart of Titirangi Village, on public land. 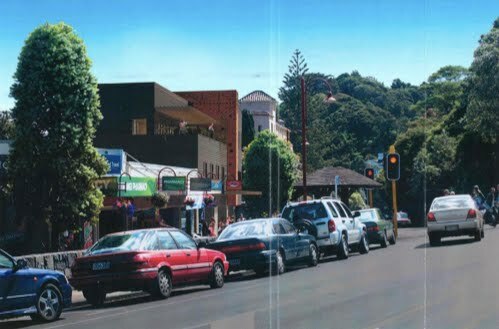 The Association opposed the proposal due to its height and bulk and impact on heritage features, as well as the urban nature of the development, which they believe will change the character of Titirangi Village. “Titirangi is the gateway to the Waitakere Ranges Heritage Area and is a low-rise, pedestrian scale village framed by bush and views to the Manukau Harbour,” said Association spokesperson Mels Barton. The Titirangi Ratepayers and Residents Association is delighted that the people of Titirangi came out in force to attend Tuesday night’s Waitakere City Council public meeting to discuss the Future for Titirangi Village. Over 200 people packed into the War Memorial Hall to hear the Council ask for their views on how the Village should develop over the next 50 years to inform the District Plan Change currently being drafted. The message they heard was loud, clear and consistent from the 18 groups at the meeting when reporting back the results of their discussions. People wanted the village to remain compact and low-rise, dominated by the bush and the landscape, to be pedestrian and people friendly with commercial activities appropriate to serve the needs of the community first and foremost, while recognising Titirangi’s role as a destination secondly. They wanted to see better walking links between the commercial strip and the community areas and new walkways throughout the area, with more public space in the village. The idea of an “urban designed” town was rejected as everyone liked the ad hoc collection of small buildings that has evolved over time, as it is unique to Titirangi and marks the difference between here and other urban centres. Lopdell House was clearly the Village’s greatest treasure and needs to have its iconic status recognised and not be competed with by other buildings. In 50 years time people wanted to see the Village no longer dominated by traffic and for it to remain at a human scale with any development fitting in with the overall character of the village. That it would continue to be the social and cultural focus for the area, the place where bush livers go to meet and connect with each other. Titirangi Ratepayers and Residents Association spokesperson Mels Barton was overjoyed at the community’s response. “The great turnout shows how much people care about Titirangi Village and that they want to be involved in decision making about its future. The Council has asked for our views, we hope they listen carefully to the answers they received so we can keep our unique Heritage Area Village forever and not have its character spoilt by inappropriate development”. The Association looks forward to seeing the draft District Plan Change that will be put to the Council’s Policy and Strategy Committee in December. Come and join the TRRA on Sunday 11 October at 10am to help clean up Titirangi Village. We have a bin in the Supermarket carpark and plan to tackle rubbish, weeds and graffiti. There is plenty to work on and many hands make light work. Bring your gumboots, waterproofs, gloves and garden tools. The Titirangi Ratepayers and Residents Association has been campaigning for some time to have a Local Area Plan for Titirangi Village. The point of the LAP (a new Council planning tool under the Waitakere Ranges Heritage Area Act) is to enable locals to use the Council process to decide what they would like the Village to look like in 50 years time. They can define the heritage characteristics of the area they want to protect and identify what degree of development will be appropriate and where that should take place. Titirangi’s planning rules are in urgent need of review, having been written to produce an “Alpine Village” look in the 1990s. They are outdated and unsuitable for the current village’s needs and have not delivered the architectural quality that was hoped for. However the Council had decided they could deliver a new set of planning guidelines for Titirangi without consulting the locals in advance by initiating a District Plan Change and pushing it through before the Super City takes effect. They didn’t count on the strength of feeling in Titirangi at being left out of the deliberations however and after a great deal of lobbying by members of the Ratepayers Association, local residents and the Titirangi business community, common sense has finally prevailed. Its been a good day for Titirangi. Although we can't call it a LAP (this is the compromise that Council were prepared to accept), the District Plan Change being prepared for the Village will now include extensive consultation with the community, business & interest groups prior to its drafting. The provisional date for the public meeting & open day consultation is Nov 3 at the Titirangi War Memorial Hall. Council staff will need to work fast so that the community's views can be incorporated into the policy & notify it by January 2010 if it is to be finalised and signed off by Council before Waitakere joins the Super City and loses its autonomy. "Agree that in preparing the Economic Wellbeing in the Waitakere Ranges Heritage Area Plan Change that effect be given to sections 25 and 26 of the Waitakere Ranges Heritage Area Act for Titirangi." So thanks very much to the Waitakere City Councillors & staff for listening to the community & debating the issues so thoroughly to find a solution. So the Titirangi Ratepayers and Residents Association invites you to put 3 Nov in you diary as the most important day for Titirangi's future & have a good think about what you would (and wouldn't) like to see our Village look like in 50 years time. If any groups would like to have a more focused meeting with Council staff on this issue before 3 Nov then please let Mels Barton know asap on 816 8337 or 021 213 7779.